Whenever a person decides to buy a home there are a number of things that have to happen before you can finalize the purchase. One of those things that have to take place is the home inspection process. The inspector will look over every aspect of the home to ensure that the property is safe condition before you move into the structure. If you have ever thought about becoming a home inspector, then here are some things that will help you make it through the process. 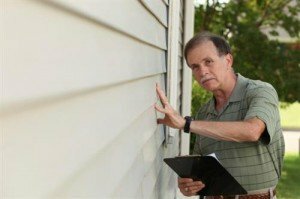 A home inspector has to know a lot about the parts of the home and how they operate. You will want to finish your high school education or get your GED so you can move on to further education. Take the time to enroll in a bachelor’s degree program that deals in engineering or architecture. You can also take classes related to construction technology, drafting, mathematics and even home inspections. You may also want to check out the possibility of taking classes at a community college to help keep the cost down. Expect to take classes in English and writing fundamentals since many of the reports that you will write will have to use correct English. You will need to have some classes in speech if you do not know how to communicate will with people. You will need to gain experience working with a certified home inspector. You will be able to learn how to fill out the reports and how to turn them into the real estate agent and banks that you will be working with on a regular basis. Get your certification with the American Society of Home Inspectors, also known as the ASHI, so you will work performing inspections of homes. There will be a minimum number of years that you will have to have in order to get your certification. As a home inspector you can expect an average of $25.18 per hour with a median pay of $52,360 per year. Most of your pay comes from the number of inspections that you perform each year so how much you earn is up to how much work you can put into your career. You will have to have at least five years of occupation related work. In 2010 there were 102,400 job positions in place in the United States. Over the next 10 years it is expected that this job profession will see an increase of 18 percent, adding 18,400 to the job forces. Once you have completed all the requirements of a home inspection agent you can expect to work inspecting new construction, verify that all codes are being met within a community and that all contract requirements are being met for a building project. Much of your time will be spent outside working around buildings. You may have to crawl through small spaces from time to time and you may have to get on the roof to check out the top part of certain structures. The path to become a home inspector will take some time to complete. You will have to complete all the certification requirements and keep your license up to date with the state in which you will be working. Once you get to the point that you are performing inspections you will find what type of work is best for your. Once you have found your niche, then you will be able to specialize in working with buildings and environments that you are ready to work with.